The Register of Play Inspectors International (RPII) is celebrating recognition by the Office of Qualifications and Examinations Regulation (Ofqual) as an approved Ofqual Awarding Body, confirmed from April 2011. As the UK play industry’s sole body for syllabus setting, examination and certification of play safety inspectors, the RPII has been progressively operating to Ofqual requirements in recent years. For the UK’s numerous parish, town or city councils and any local authority with public playgrounds in parks, for schools and for commercial play providers Ofqual recognition gives further assurance that the RPII certification level is up to external rigorously audited standards. Indeed, Ofqual advises that it makes sure qualification standards are the same every year by monitoring the questions set and examiners’ marking. 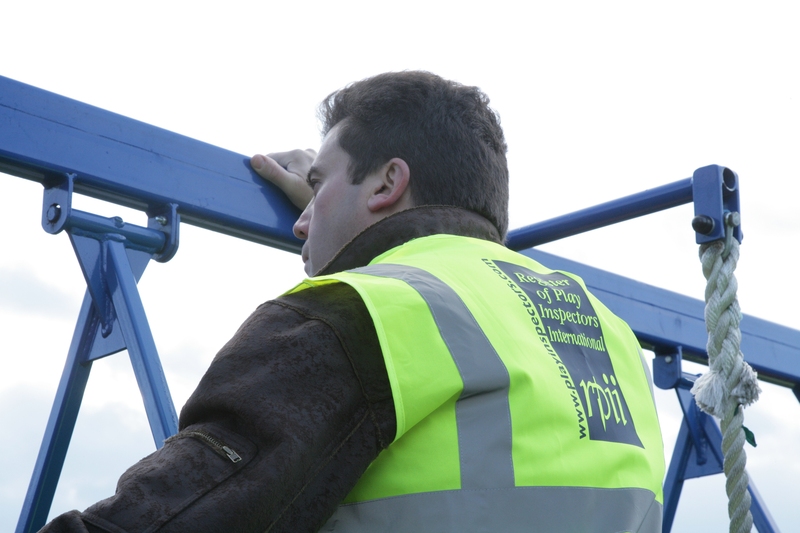 They check awarding organisations like the RPII carry out their roles correctly. Ofqual programmes include; scrutiny and code of practice monitoring programmes, audits of awarding organisations and comparability studies (reviewing qualification standards over time, across organisations and between subjects). Ian Matten, Parks Manager at Vale of White Horse District Council said, “We use RPII certificated inspectors and are even more assured of that decision with Ofqual recognition of the qualification. 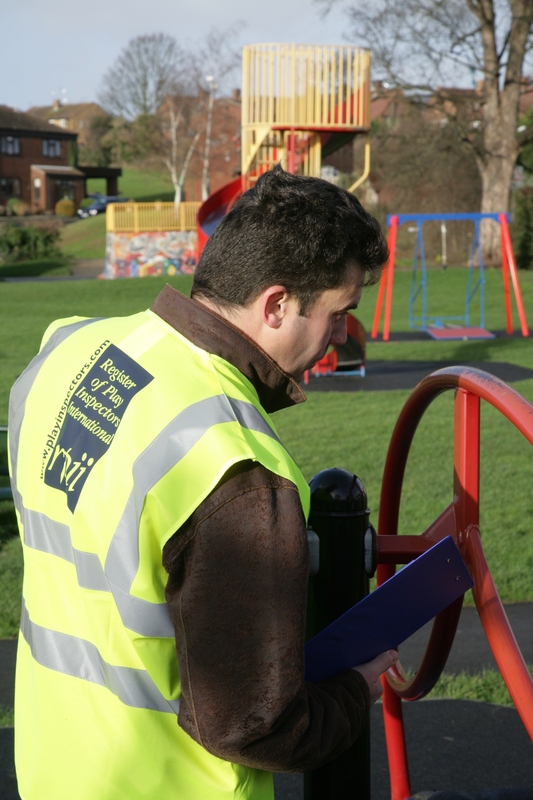 Having certified inspectors with a recognised qualification makes a big difference when defending any claim against the council but also gives users the reassurance that their play areas are being managed responsibly." Since it was founded 1999 the RPII has certificated more than 3000 play safety inspectors for Outdoor, Indoor and Inflatable play. Most Inspectors work for public play providers; local authorities or their grounds maintenance sub-contractor staff as Routine or Operational Inspectors in the UK. The most advanced Inspector level is RPII Annual & Post-Installation Inspector of which there are currently 124 of whom 20 are in Ireland, Italy, Spain, Australia, New Zealand and Hong Kong with the majority in the UK. The RPII was originally set up through cooperation between the Association of Play Industries (API), Institute of Sport and Leisure (ISPAL, originally ILAM), Fields in Trust (FIT, originally NPFA), the Royal Society for the Prevention of Accidents (RoSPA) and in liaison with the British Standards Institute (BSI) and the Heath and safety Executive (HSE). It continues to cooperate closely with those and now additionally with, the more recent formed, indoor Play Providers Association (PPA). The RPII examines, accredits and certifies individual inspectors who have shown the required level of knowledge and demonstrated competence to the required standard. The RPII lists organisations which it has approved to act as examination centres for RPII qualifications. It provides a register of those inspectors who reach the required standard and who agree to the terms and conditions of registration. The RPII promotes the Register and makes it widely and freely available to organisations and individuals who may require the services of play safety inspectors. That is assisted by an ‘Inspector Finder’ facility recently added to the RPII website and which immediately became one of its most frequently used web pages. Training courses are run by RPII-recognised examination centres. These courses have a good mix of practical work and reference to relevant documents and standards with plenty of two-way discussion. Most courses last for one or two days and help set up candidates for RPII examinations. Candidates can now be even more assured of the quality and standards of training and examination with the Ofqual recognition of the RPII. At Playfair 2011, 21-22 June, Stoneleigh Park, near Coventry the RPII will be available to discuss Ofqual approval on Stand T9 and in the Seminars, Keith Dalton, RPII Technical Director, Outdoor Play presents benefits to Outdoor Play providers on Wed 22 June at 12 Noon. Playfair has free entry and free parking. Register of Play Inspectors International Ltd.